Site Update: Miiverse Profiles Added To User Profiles! Share Your Miiverse Profile With The Community! 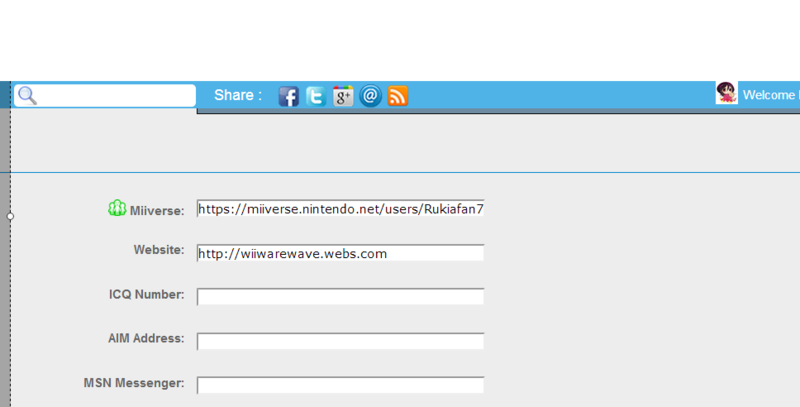 A new contact field has been added to user profiles allowing you quick access to your Miiverse profile so WiiWareWave members can contact you via Miiverse! The field is optional and if you want to add it to your profile go to edit profile and click on the information tab and scroll down. You need a link to your profile from the Miiverse website so go to Miiverse and open your profile via a PC web browser and copy the link of the page and paste it to the contact field labelled Miiverse and save!